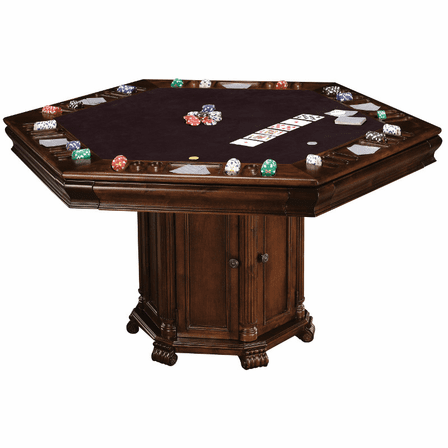 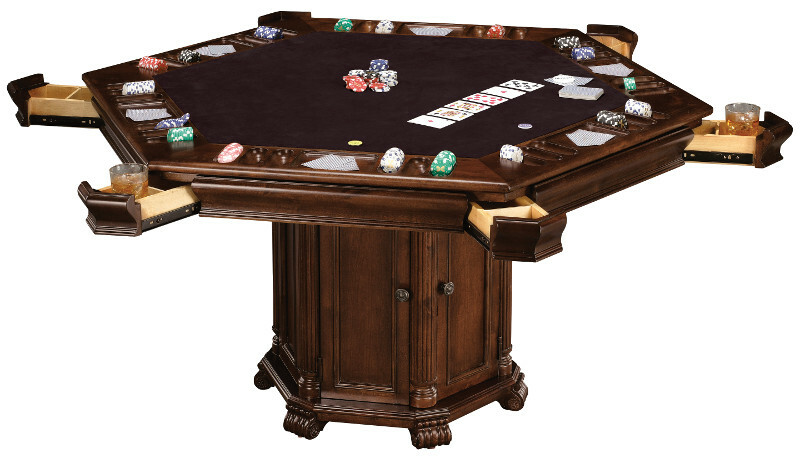 FEATURES/SPECS If you're a poker player who loves to have people over for Friday night poker, this is the table for you! 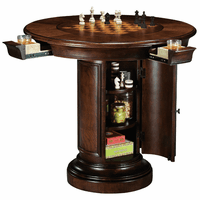 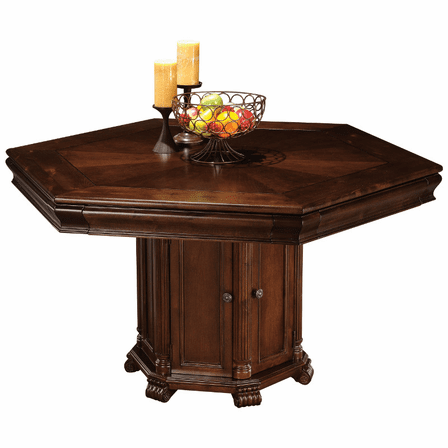 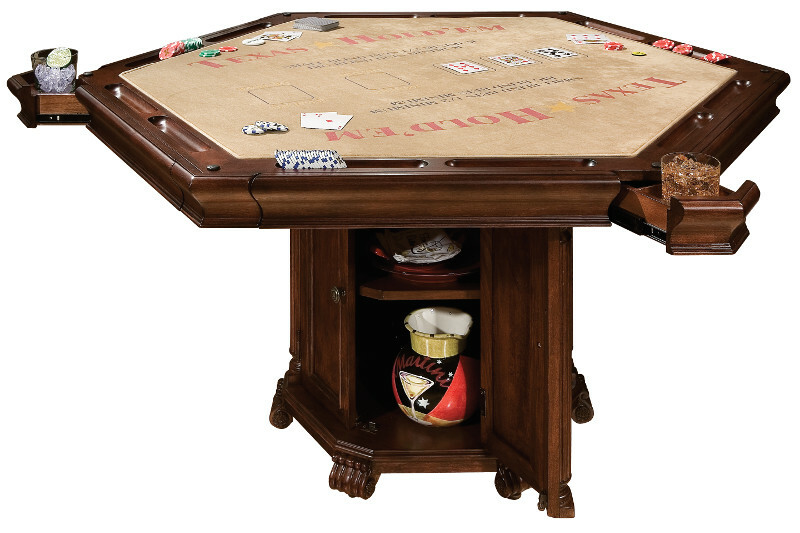 Whether you have a home entertainment area devoted to your favorite game, or live in a downsized home, condo or apartment, this table is the perfect choice! 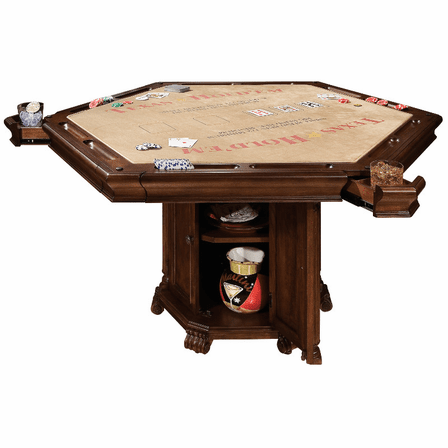 It measures 30"H x 50"L x 57 ''D, seats 6 players, and is designed with a rustic, lightly distressed cherry finish that looks like it's been in the family for years! 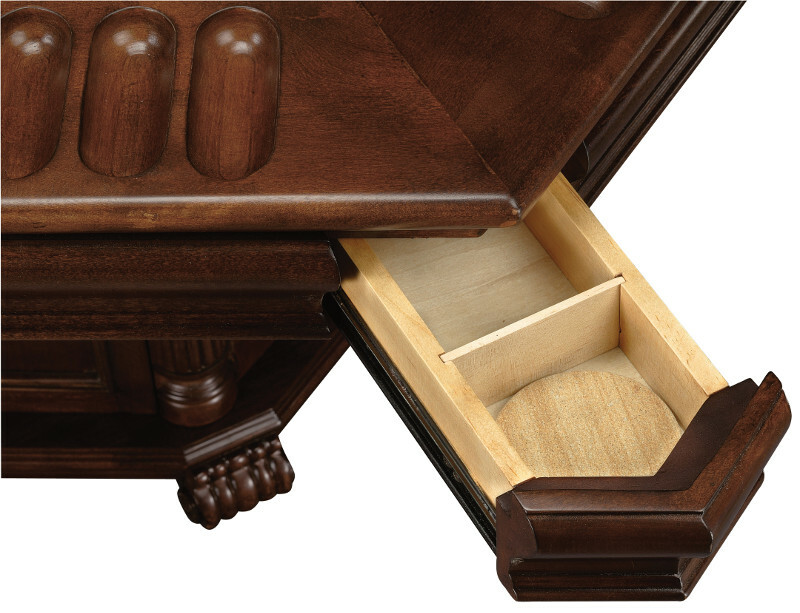 Each space has a fully-extending drawer to securely hold a beverage and snacks, complete with a removable sandstone drink coaster that absorbs condensation! 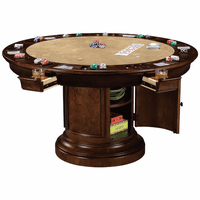 When you remove the fabric poker game insert, there's a Texas Hold'em surface underneath! 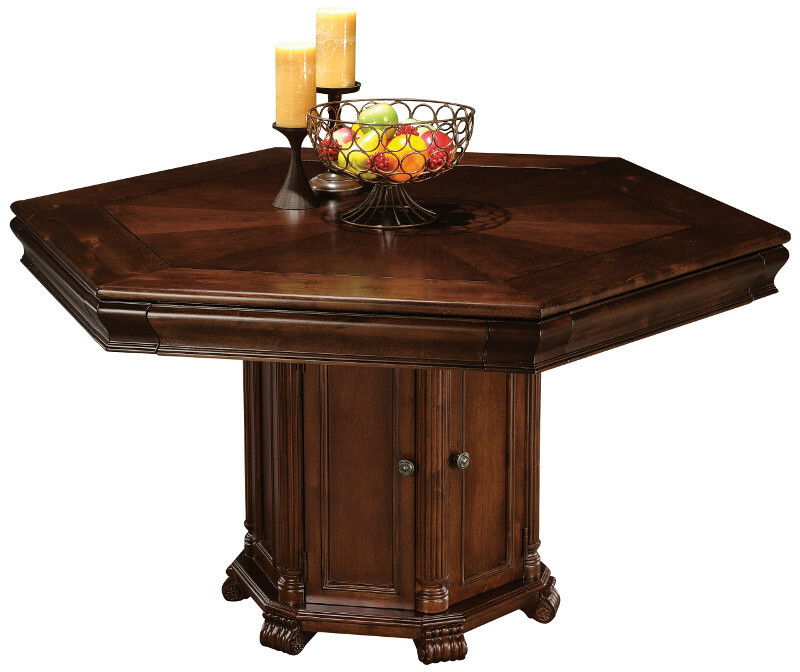 And, when you flip the insert over and replace it, there's a sunburst design in cherry veneers that creates a beautiful dining table! 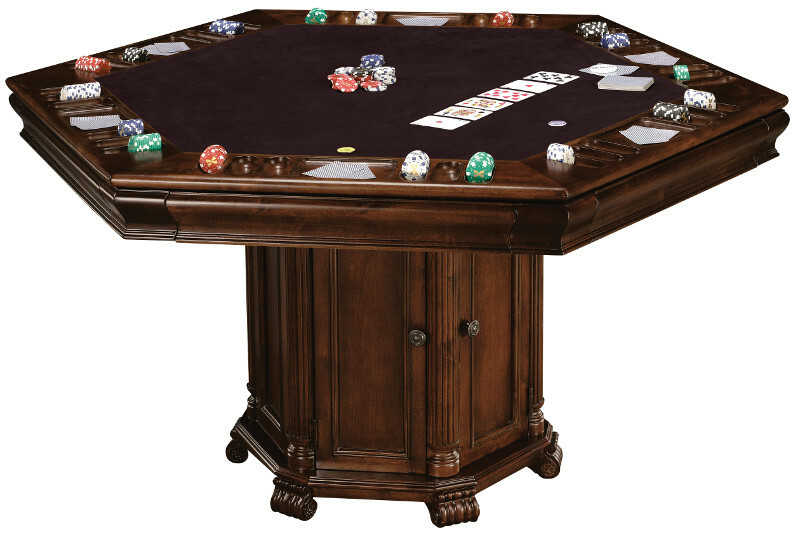 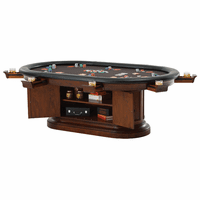 The base has a hinged door to an interior with shelves to store the game accessories that come with the table, including a set of 500 5-color poker chips, chip storage case, and 2 decks of playing cards! 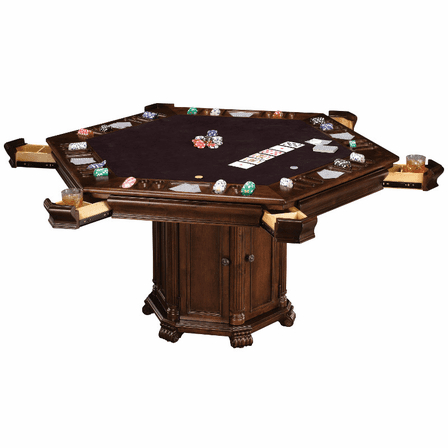 With simple assembly, you'll be done in time for this Friday night, when you can wow your buddies and play your best hand ever! 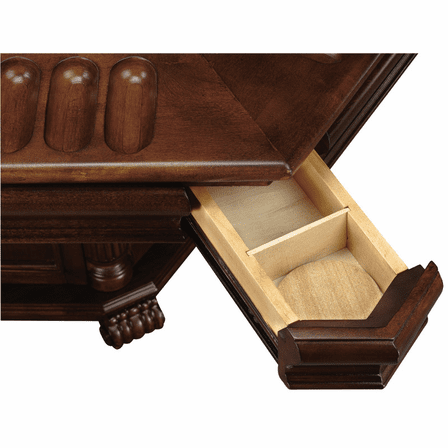 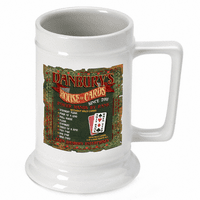 As with every order placed with the Executive Gift Shoppe, you will receive our full Satisfaction and Performance Guarantee!